Believe it or not, we’re not always buried in our computers, laptops, tablets and smartphones! We do spend time offline occasionally, doing things, having real conversations—believe me, it does happen! I want to give you five quick tips on how you can take your offline marketing to drive online traffic. We have polos with the Market With Mario logo and name. 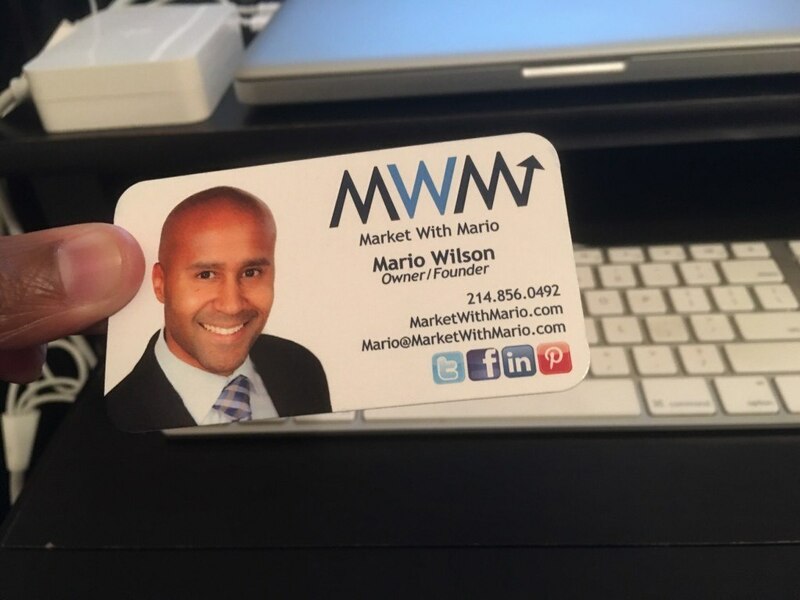 You’d be surprised how many times I’m out grocery shopping and I’ll be stopped and asked, “What is Market With Mario?” I’ll let them know what I do, and at least some of them are going to go home, or maybe pull our their smartphones right there to Google us and check out our website. So I’m getting additional traffic just from wearing a shirt to the grocery store. I also have t-shirts that I wear to the gym, and people stop me to ask what the logo is that I’m wearing. This is a great way to get traffic—wear your product, all the time! In a similar vein, if you have a fleet of trucks, get them wrapped! I know a really good company that does vehicle wraps. They’re called NovoWorks. They know the color schemes and everything to get your vehicle noticed! Again, when people get to a stoplight they pull out their phones, so if you have nice signage, or a nice vehicle wrap, they can go to your website right then and there. I recommend having your social media icons on the vehicle wraps, so people know they can contact you online. And that segues into the third point: You want to make sure you have your social media icons on your business cards. If you don’t have the icons there make sure you put information so that they know they can find you on LinkedIn, Facebook, Twitter, whatever platform that you’re on, make sure that people understand that they can contact you there. A lot of people will check you out online before they ever call you, so you want to make it very easy for them to be able to contact you. Make sure you have your website on there as well, and your email address. Everything on your print collateral should have your website on it. And again—and I know I’m beating a dead horse here!—make sure your social media icons are on your website! Don’t just assume that people know that you’re on there. When you put the Facebook and Twitter icons on there they understand that that’s another way they can communicate with you. If you do have a brick and mortar location, put signs up at the front desk area, or the checkout area, that remind people to check in to Facebook—maybe even offer them some kind of discount if they check in to Facebook from your business. Again, have the social media icons, and say “Be sure to keep up with the latest news” on your Facebook or Twitter page. All these things are part of your branding, part of your overall marketing strategy, because again, if people are offline we can drive them online just by small things that we can have in our branding materials. I hope this helps you gain more exposure, and in turn get more leads and grow your business!